The Legislature ignores the sheer size of the total backlog, and the Hawaii Department of Education traditionally asks for a small percentage of what's needed. Hawaii invests hundreds of millions of dollars every year on building state facilities, and it then has a duty to maintain these investments, which costs hundreds of millions more. Anyone who owns a home in Hawaii understands the costs of repair and maintenance due to normal residential wear and tear, environmental degradation, and termites. But imagine if you were the steward of high-use school buildings and facilities that had to comply with changing state and federal safety guidelines, equity requirements and the potentiality of lawsuits for any frayed surface or collapsing roof. The Department of Education budget request doesn’t come close to addressing the backlog in needed school maintenance. The Department of Education submits a biennium Capital Improvement Projects (CIP) budget request to the governor and Legislature every odd-numbered year. This year, DOE is requesting $406 million for fiscal year 2016 and $420 million for FY 2017 for new facilities and major repairs and alterations. The DOE is also requesting $3 million a year to carry out minor repairs and maintenance (R&M) through its general operating budget. The DOE does not receive all that it requests. It sought $355 million for FY 2012 and received $296 million. An 83 percent allocation does not sound so bad — DOE should be grateful, right? But the DOE tends to not ask for what it really needs, only for what it thinks it can get. Its actual backlog of capital improvement projects and repair and maintenance is currently at $3.8 billion. Lawmakers could also pass a law requiring counties to contribute to capital improvement projects in their jurisdictions. So even if the governor and the Legislature allocated all of the funds requested in the DOE’s CIP and R&M budgets for FY 2016, that amount would only cover 10 percent of the backlog. The state would in effect still be deferring 90 percent for the following year, and so on. If it’s ignored for too long, a building that may only require thousands of dollars of termite-tenting could end up costing the state millions to demolish and rebuild. The DOE has a transparent and easy-to-use online tracker for its capital improvement projects and repair and maintenance backlog: Factrak. You can find the lists of projects and repairs and their current status by school, complex area, and island. Factrak also can list the status and backlog for projects and repairs by Senate and House districts. This gives voters and elected officials notice of the impacts caused by inadequate funding. State officials also take notice when DOE facility disasters make the news; like when the Farrington High School auditorium collapsed just hours before a statewide poetry slam was to take place — and just days after members of the state Supreme Court were sitting on the stage hearing oral arguments in front of a student audience. Knowing that the DOE’s CIP budget request would never be fully funded, certain legislators have been known to manipulate the list of projects and repairs to ensure a school in their district would be closer to the top of the list, above the shortfall line. In 2009, the DOE used a clear and defensible CIP Priority Matrix to justify the reasons why projects and repairs were listed in the budget request in that specific order. The top priority was related to health, safety, security and emergencies in school buildings. The last on the priority list were state and district building repairs. It was such a rational presentation that Legislators had a harder time reordering projects or repairs to favor their districts. Today the DOE uses only “Key CIP Performance Indicators” to group projects into four categories: Condition, Capacity, Program Support and Equity. These categories are broad, but the DOE has gotten smarter about listing projects in each category as “lump sum” allocations, further safeguarding budget manipulation by self-serving legislators. When you think about the multi-billion-dollar backlog that impacts the entire state, this legislative meddling is like rearranging deck chairs on the Titanic. Even if the governor and the Legislature allocated all of the funds requested, it would only cover 10 percent of the backlog. The Legislature is currently reviewing the DOE’s biennium budgets for FY 2015-2017, and should focus on its primary responsibility — raising and allocating adequate funding of public education and the facilities required to deliver that education in safely maintained environments. Any serious move to decentralize our single-district school system would have to start with a willingness of counties to meet some of the responsibilities of paying for public education. 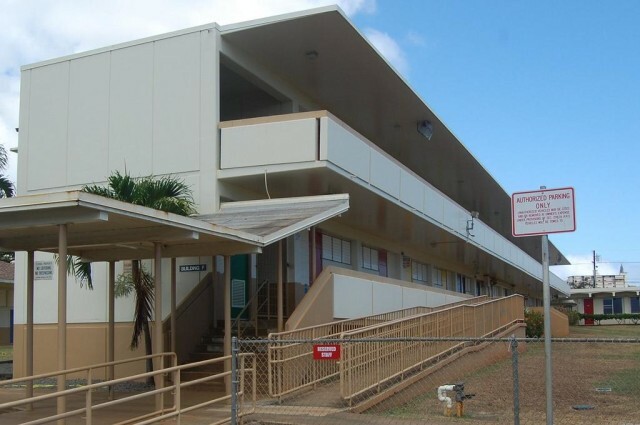 If the City and County of Honolulu can increase Oahu residents’ taxes to build a rail system, then perhaps all counties can raise revenues to build and maintain school facilities. 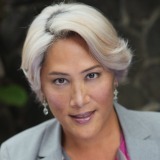 Kim Coco Iwamoto was elected to the Hawaii Board of Education in 2006 and served until 2011. She also served on the Hawaii Teachers Standards Board from 2009 to 2011 and the Career & Technical Education Coordinating Advisory Council from 2007 to 2011. She was appointed to a four-year term on the Hawaii Civil Rights Commission in 2012.